Equestria Daily - MLP Stuff! 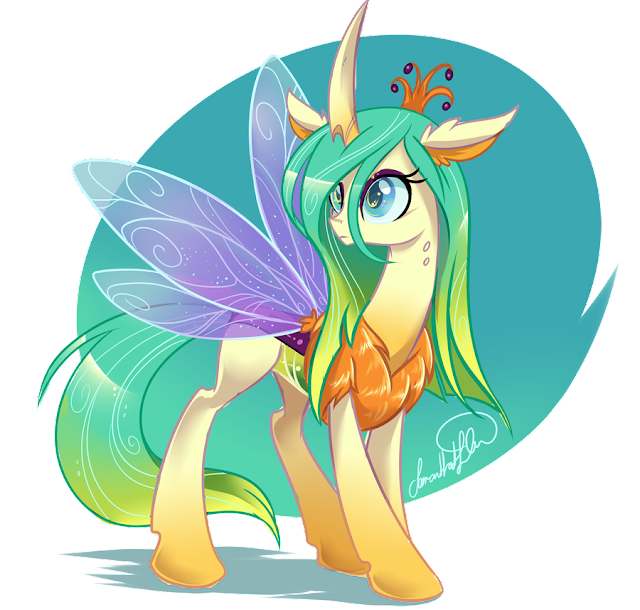 : Discussion: Chrysalis Is Reformed! What Was the Episode Like? Discussion: Chrysalis Is Reformed! What Was the Episode Like? The year is 2019, and Chrysalis has been reformed. Many demanded she stay evil, but the powers that be needed new merch, and eventually, it happened. How did it happen? What process did the episode (or episodes) take to reform the one character that has resisted any and all forms of rehabilitation? Did they lock her in a room with no love for a month until she begged to be a better bug? Did a final battle between her and Glimmer happen that eventually lead to a frustrated changeling queen tired of chasing table scraps while watching her ex-hive thrive?